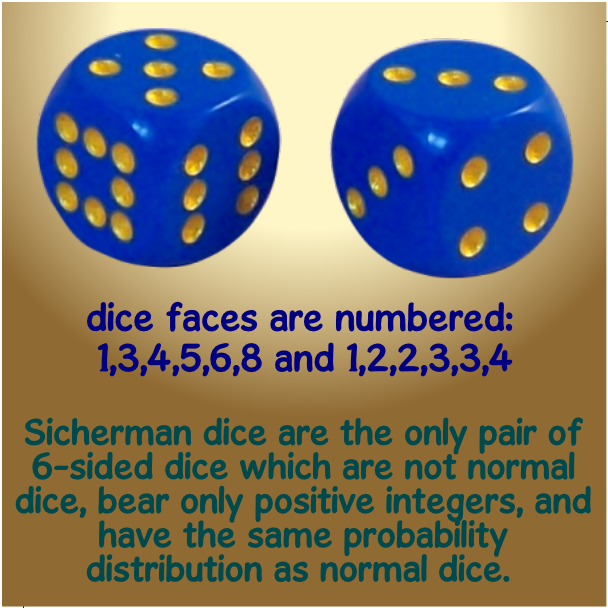 These dice, invented by Colonel George Sicherman, have the same probability of rolling a given sum as a pair of standard six-sided dice, but they are numbered differently: one has sides 1, 3, 4, 5, 6, 8; the other has sides 1, 2, 2, 3, 3, 4. 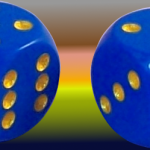 With a normal pair of six-sided dice, the probability of throwing a 2 is 1/36, the probability of throwing a 3 is 2/36, the probability of throwing a 7 is 6/36, and the probability of throwing a 12 is 1/36. 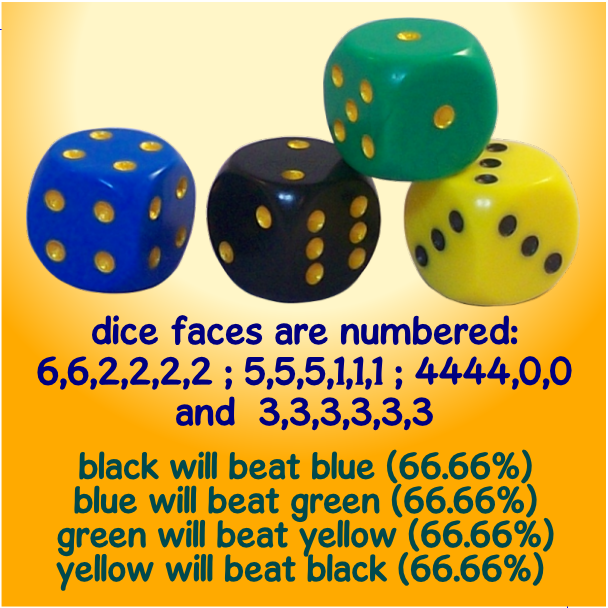 Every possible score has a certain probability. 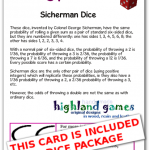 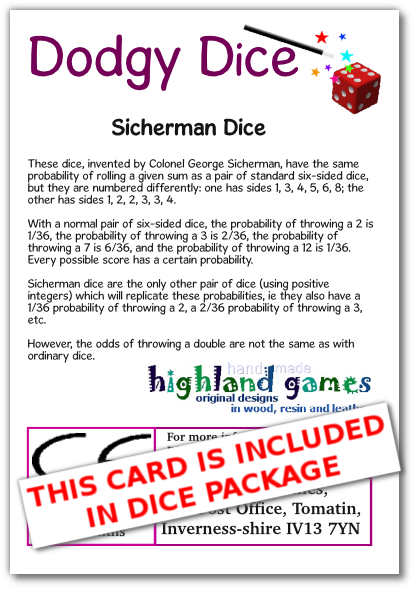 Sicherman Dice are the only other pair of dice (using positive integers) which will replicate these probabilities, ie they also have a 1/36 probability of throwing a 2, a 2/36 probability of throwing a 3, etc. 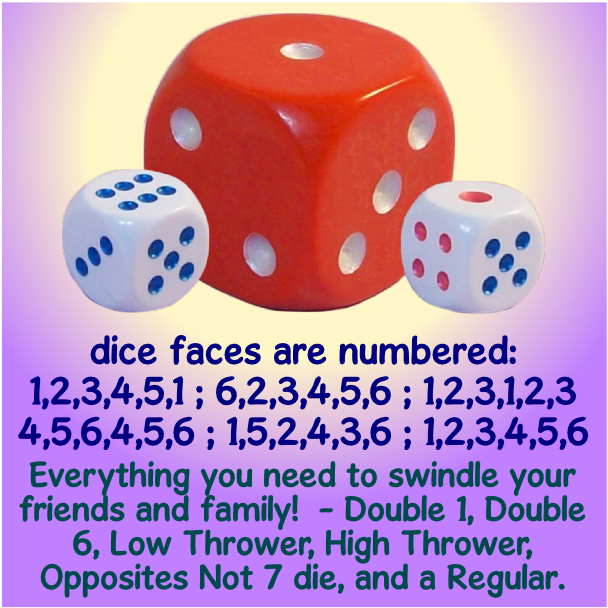 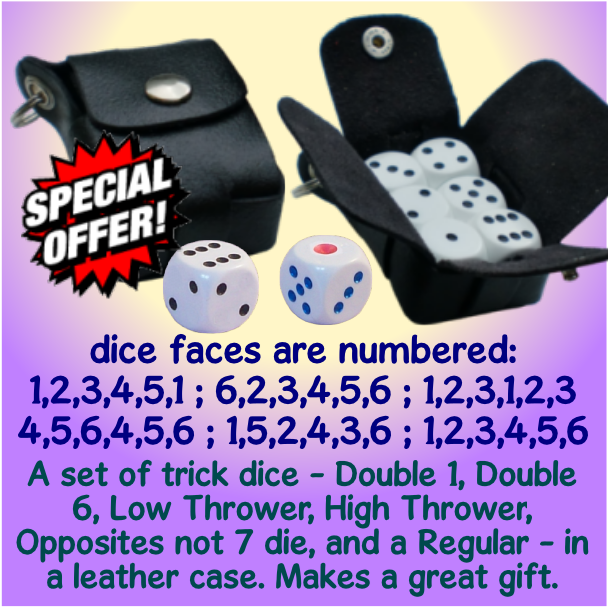 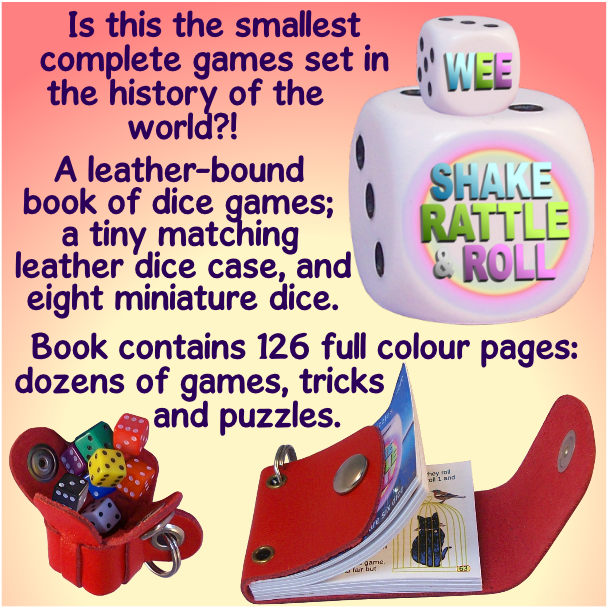 However, the odds of throwing a double are not the same as with ordinary dice.